Offering you a complete choice of products which include wash care barcode ribbons, barcode resin ribbon, wax ribbon, colored barcode ribbons and wax resin ribbon. We are offering Wash Care Barcode Ribbons to our clients. 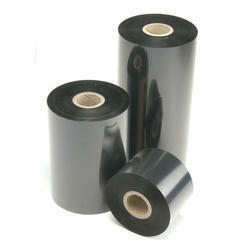 We are engaged in offering Barcode Resin Ribbon which are used for printing high-density barcodes. We are engaged in offering Wax Ribbon to our clients. 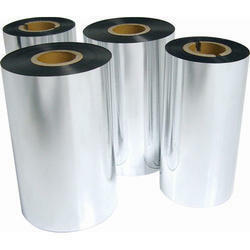 Wax ribbons are for printing onto paper labels, where the life of the label can be years but must be kept dry and must not be abraded or subjected to certain chemicals or oil, which would dissolve the wax image. Finally, pure resin ribbons are formulated to print onto plastic labels such as polyester, polypropylene and vinyl. 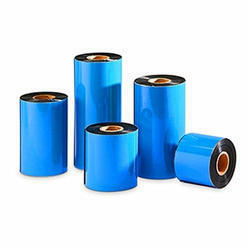 The "ink" is designed to slightly dissolve into or adhere to the plastic surface of the label and becomes extremely durable, depending on the plastic material and ribbon makes used. 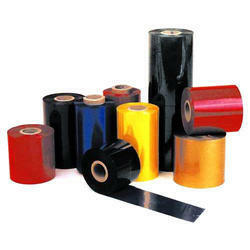 We are engaged in offering Colored Barcode Ribbons which are used for printing barcodes. Available in different colours, thickness and lengths, our durable and quality assured the range of barcode ribbons can be customized as per the requirements of our clients. 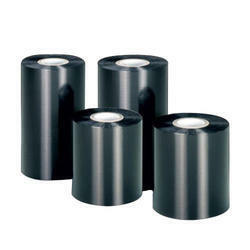 We are offering Wax Resin Ribbon to our clients which produce a finer image on very smooth paper or coated paper labels.